Flip a coin. If the coin lands on heads, this attack instantly destorys the defending pokemon and restores health entirely. If the coin lands on tails, the creature takes 80 damage. 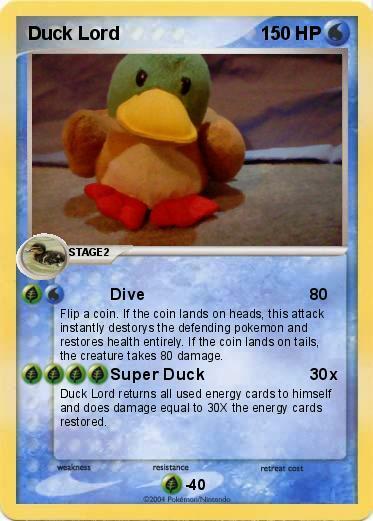 Duck Lord returns all used energy cards to himself and does damage equal to 30X the energy cards restored.